What a surprise to find a notice that I had been given the Liebster Award by fellow blogger Beth from Classes by Beth. My first reactions was “Is this some kind of spam deal?” (Sorry, Beth.) Since the notice wasn’t from a foreign country with a strange-sounding name, I thought I’d check it out. 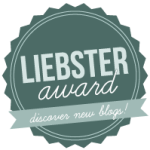 The Liebster Award is an honor given by bloggers to other bloggers. And I do feel honored. Beth asked these question of those she recognized. What’s your favorite blog post that you’ve written and why? Give to the Least and Have You Prayed For a Muslim Today? are my favorite posts (I know the question asked for one post). Both of these are from my heart … something I really believe. There’s little platform for staying these off-beat thoughts. My mother always said I had the gift of gab. So it’s natural that I’m a writer and speaker. A blog is one way to get all those pent up words out. 3. What is your greatest motivation for writing? God has given me the gift of teaching. I teach through the words I write and speak. People will say to me that I work too much because I spend a lot of time at the computer writing. I’m not working: I’m expressing my gratitude for the gift God has given by using it. 4. What’s the first thing you look for when checking out a new blog? The menu. I want to know what the blogger has to offer, other than the post that I followed a link to. 5. Do you follow a specific schedule or just write when the spirit moves you? I’m by nature a scheduler and planner. My kids often say that I plan spontaneous activities. You would think I have a very detailed schedule for the next five years for my blog posts. Nope. And it drives me crazy. I’m getting better; at least now I get something posted more than every couple of months. My goal schedule is three times a week. 6. What comment are you most thrilled to see from readers? 7. What do you think is the strongest feature of your blog? I wish I had a quick answer. Right now my posts, albeit irregular, probably are my strongest feature. 8. What aspect of your blog do you want to improve this year? Two areas are at the top of my improvement list: post regularly and the look of the blog. I’m working on both. 9. What widget do you find to be the most useful? Share Buttons and Jetpack’s Publicize. 10. How often do you read other bloggers’ posts? I read blogs daily, different ones everyday. I’m thrilled to pass this award to some wonderful blogs and great bloggers. Music in Our Homeschool by Gena Mayo I had the pleasure of meeting Gena at the 2:1 Conference last year. It was pleasure to visit Kitty Hawk with her. Her new blog, Music in Our Homeschool, is greatly needed for homeschoolers. Check it out for some wonderful resources. Hair by Lori by Lori Bryant I can barely put my granddaughter’s hair in a pony tail. Lori is truly an artist with air. She has recently started selling kits, so even bumblers like me can do it. Word Traveling by Jen Reyneri Jen loves traveling; so do I. She and her family travel to spread the Word of God. What a tremendous mission. Autism Train Blog by Terrie Bentley McKee Terrie’s blog has just begun on this very important topic. Don’t let the lack of post discourage you. She has so much to offer. Melinda Martin Publishing and Design Services by Melinda Martin Well, this is really a blog. Melinda provides wonderful design services for small publishers and bloggers. And, she’s a funny lady. Be sure to take a look at her FAQs for information about your potential publication. Abundant Life by Marianne Sunderland Marianne is homeschooling eight children. Well, really six right now because her two oldest have graduated and are doing well in the “real” world. Marianne has just started a new blog, Homeschooling with Dyslexia. Blogging Sisters, here are your questions. What blogging conference do you recommend? Why? When you aren’t blogging, what are you most likely doing? If you really wanted an out-of-home job, what would it be? What’s the title of your best-selling novel? If a movie were made about your life, what would the title be? What verse in the Bible most encourages your walk with God? 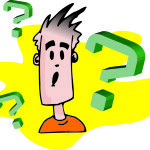 When you answer the questions, please let me know in the comment section. I want to read them. Thank you, Beth, for this honor. Great nominees! A few new ones and few that I already knew and followed. Such a variety in your nomincations. Great list of questions for them.